Our professional team will help you with kind of concern you could have. We speak Spanish, English, Italian, French and Portuguese. All the ships are available in “Club de Mar” in Palma de Mallorca. The best way to discover Mallorca’s sea. PERFORMANCE RIBS MALLORCA IS A BRAND OF HHLDA S.L., A COMPANY OF RENT AND SALE OF BOATS. 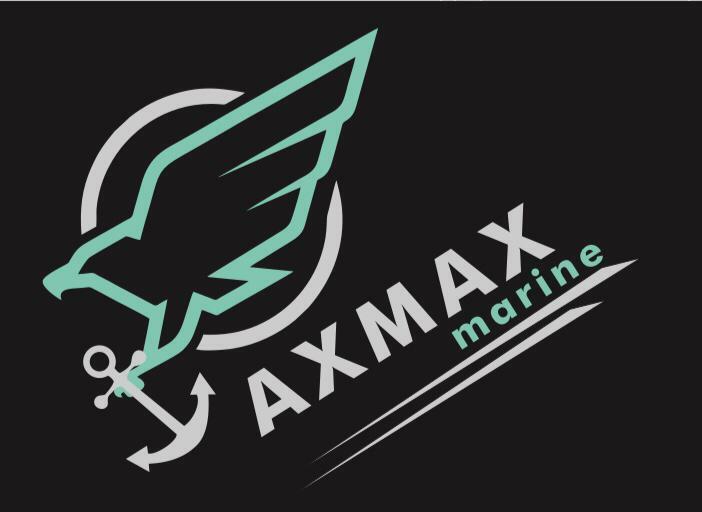 WE OFFER TO OUR CLIENTS An HIGH QUALITY AND SAFETY STANDARD RIBS WITH powerful engines able to transmit UNIQUES NAVIGATION EMOTIONS ON THE MOST AMAZING ISLAND OF THE WEST MEDITERRANEAN SEA. IN ADDITION, we PROVIDE QUALITY SERVICES, ORGANIZED COASTAL EXCURSIONS, ON BOARD CATERING, EVENTS AND CHARTERS. 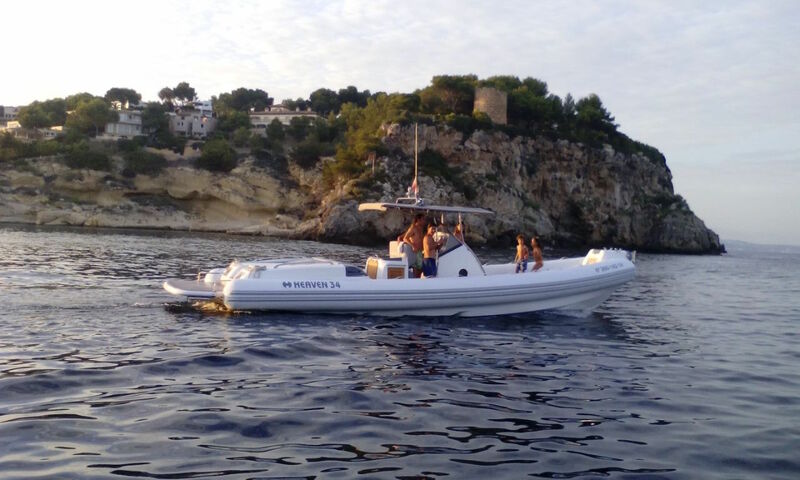 This is the perfect vessel for coastal navigation and between islands in the Balearic archipelago, with its twins gasoline engines of 260 hp each. This boat has comfortable sunbathing areas at bow and stern. The swim platform in solid teak also includes shower. It has refrigerator, table and removable marine toilet. 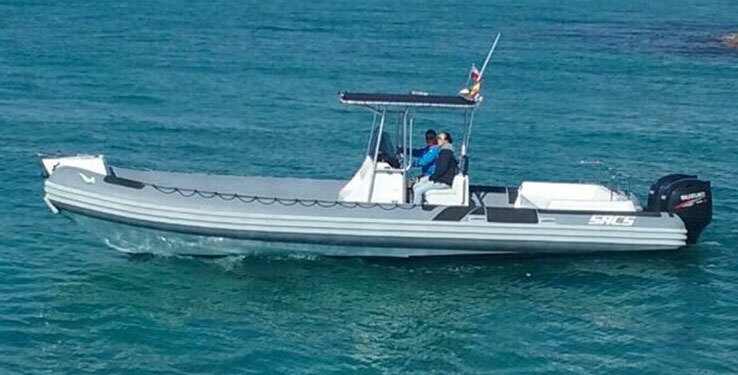 The Heaven 40′ is equipped with twin 320 hp Diésel Yanmar engines, accompanied by two Arneson surface transmissions that let you reach the very performing speed of 40 knots for this category of RIB, all in maximum comfort and safety. This boat has comfortable sunbathing areas at bow and stern. The swim platform in solid teak also includes shower. She has refrigerator, a comfortable cabin with toilet and removable table (This boat is available only with captain). 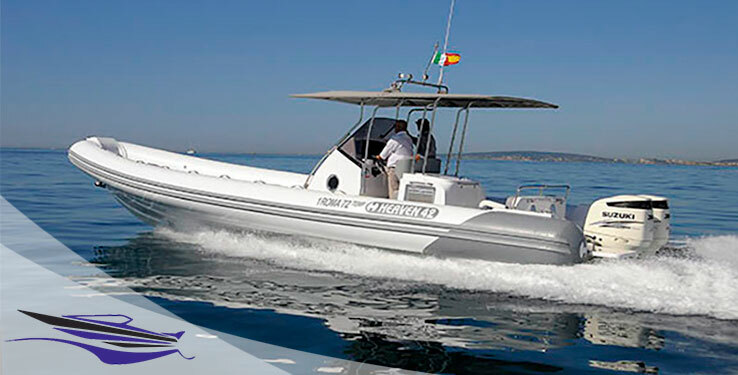 Very High performance boat, these exclusive and new open rib of great length is the perfect boat for regattas support or team assistant navigation, as the famous Copa del Rey. It features comfortable sunbathing areas at bow and stern, refrigerator and toilet if you prefer a classical navigation. The best way to discover Mallorca's sea.